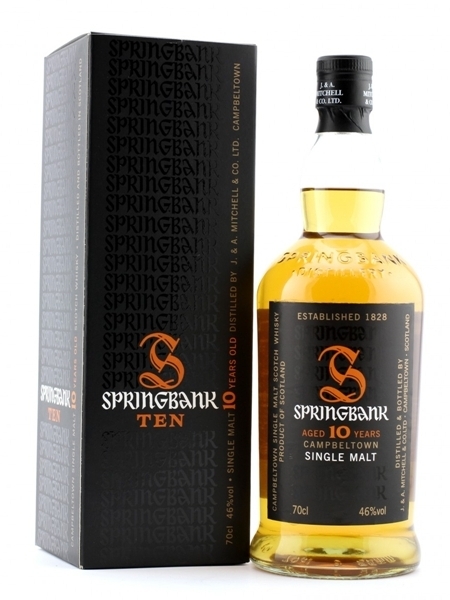 Springbank 10 Year Old (~€50) single malt is Springbank's entry level release in the Springbank series. It goes through Springbank's unique two and a half time distillation process. This whisky was matured in bourbon and sherry casks and bottled at 46%, as there has been no chill-filtering, nor colouring for that matter. The Springbank 10 has a lovely sweet, lingering salty finish.